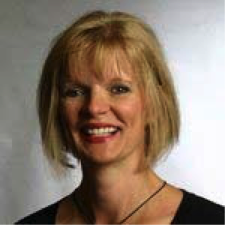 Colette Feldges serves as the Director of the Executive MBA Program at the Kellogg School of Management at Northwestern University. In her role, she leads a team of professionals charged with planning and executing the student experience for mid-career executives who undertake a 2-year weekend program to earn an MBA degree. Before coming to Kellogg, Colette worked at Washington University in St. Louis where she was the Director of Student Affairs for that EMBA program. I would be grateful to serve in any capacity in which my skills would be helpful. I have a large network that I am willing to leverage and a passion for creating education, awareness and improved options for people dealing with breast cancer. I lost a sister to this disease, so it is a personal mission and a privilege for me to become involved in this organization.